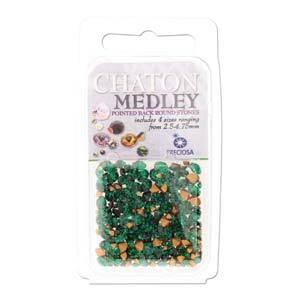 Round pointed back cut crystals are the perCrystal Clay Accessoriesfect way to "BLING OUT" jewelry pieces when working with 2-part epoxy clay such as Crystal Clay & Decore. Our new assortment packs are 5 grams of an individual color comprised of 4 stone sizes ranging in size from 2.5-4.75mm. Powered by ShopFactory to sell P746 online. All-in one eCommerce and online shopping cart software.